The Wall Street Journal's award-winning business reporter unveils the bizarre and sinister story of how a math genius named Tom Hayes, a handful of outrageous confederates, and a deeply corrupt banking system ignited one of the greatest financial scandals in history. The paperback edition includes a new chapter discussing further fallout from the scandal. 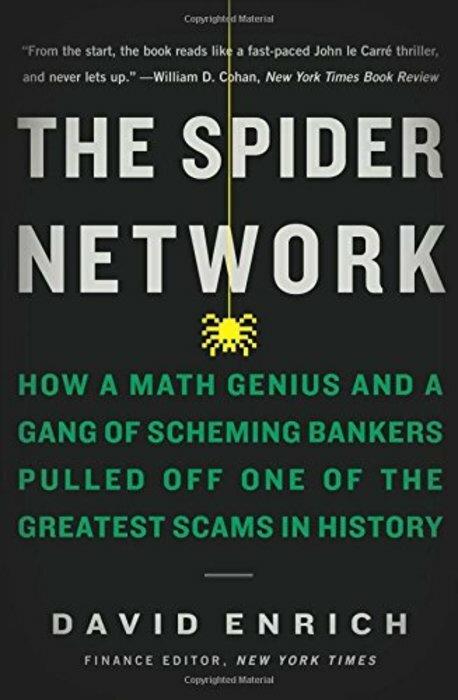 Praised as reading “like a fast-paced John le Carré thriller” (New York Times), “compelling” (Washington Post) and “jaw-dropping” (Financial Times), The Spider Network is not only a rollicking account of the scam, but a provocative examination of a financial system that was warped and shady throughout.